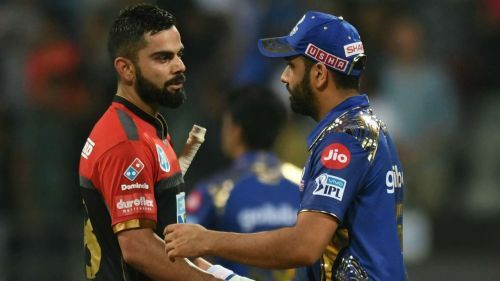 Mumbai Indians will take on Royal Challengers Bangalore in Match 31 of 2019 IPL at the Wankhede Stadium on Monday. Rohit Sharma's men emerged victorious when these two sides met at the Chinnaswamy Stadium on March 28. Mumbai won that thrilling encounter, which was marred by controversial umpiring decisions. Out of the seven matches played so far, Mumbai Indians have won four while Royal Challengers, who are reeling at the bottom of the table, have just one win out of the seven matches. While Mumbai tasted defeat in their last game against Rajasthan Royals at home, Bangalore thrashed Kings XI Punjab by eight wickets at Mohali. 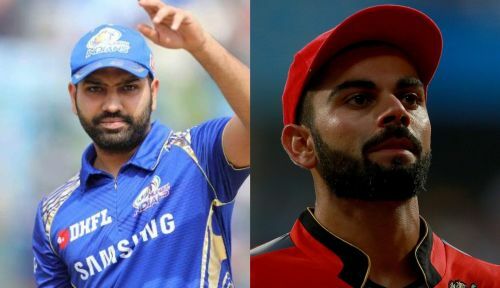 The face-off between Rohit Sharma and Virat Kohli promises to be an epic counter and let us look at three reasons why the Men in Blue hold the upper hand during the Monday clash. 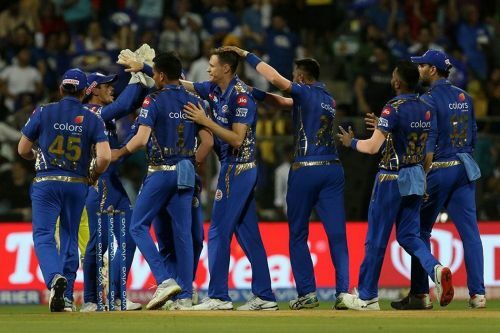 Initially, the Mumbai Indians were heavily reliant on openers, Quinton de Kock and Rohit Sharma, as their middle order failed to live up to the expectations with some inconsistent performances with the bat. And now with players like Suryakumar Yadav, Kieron Pollard and Hardik Pandya stepping up with crucial knocks and useful cameos down the order, the middle order looks really strong. Meanwhile, for Royal Challengers the major chunk of runs have come from openers Parthiv Patel, Virat Kohli, and AB de Villiers. Though Marcus Stoinis has done his job well with the bat so far, RCB needs big from the Aussie. Moeen Ali, who has amassed 74 runs in seven matches, must contribute more with the willow down the order. Relying on the performance of the top three batsmen doesn't augur well for RCB, especially against a quality Mumbai outfit. Mumbai missed Lasith Malinga in the death overs against Rajasthan Royals and the result was evident. Expect the Lankan legend to strengthen the ruthless attack comprising Jason Behrendoorff, Jasprit Bumrah, Rahul Chahar and Pandya brothers. After being taken to the cleaners in the last game against Rahane's men, the Mumbai bowlers will be looking to prove a point by displaying their usual best in front of the home fans. For RCB, apart from Chahal and Saini, other players haven't impressed with the ball so far. Out of the 24 IPL matches played between these two franchises, Mumbai Indians have won 15 while the Royal Challengers have managed nine wins. Once again, Mumbai holds the upper hand in the matches played at the Wankhede Stadium - having won five out of the eight matches against RCB. Kohli's men last won an IPL game at this iconic venue back in 2015 when they posted a mammoth 235 for 1 before restricting the hosts to 196 for 7 in 20 overs. 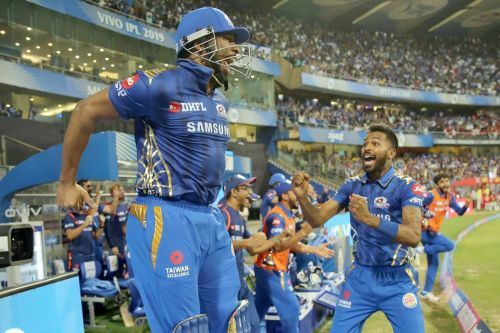 In spite of losing two out of the four home matches so far this season, the prospect of playing in front of the vociferous Wankhede crowd will certainly provide Mumbai with the much-needed 'home advantage' against RCB.